We look at the highlights from the Westfield W-League in Australia for Week 11. Ellie Carpenter—the 18-year-old Portland Thorns loanee, Australian international and last season’s W-League Young Player of the Year, scored the only goal of the game and was a key driver in Canberra United’s 1-0 defeat of visiting Adelaide United on January 13, keeping her side’s slim playoff hopes alive at three points behind fourth place, while Adelaide is tied with Sydney FC for the fourth and final playoff spot; however both sides have a game in hand over the Greens. Carpenter has three goals this season and should be an essential part of this summer’s Matildas Women’s World Cup squad. In the 39th minute, U.S. international Sofia Huerta (Houston Dash) scored Sydney’s first goal and her second of the season with some deceptive dribbling, going past Australian international Georgia Yeoman-Dale and then Dutch defender Maruschka Waldus before firing the ball from a tight angle in the box past Australian youth international goalkeeper Nicole Simonsen’s (in her first W-League season) near post in Sydney FC’s 3-0 derby win over struggling Western Sydney Wanderers on January 10 in front of 1,511 fans. Caitlin Foord (Portland Thorns) scored twice in the second half, once from the penalty spot and then from a fine blast from outside of the penalty box, to give her seven goals on the season. Sydney FC leads the league in goals scored this season with 23, one ahead of Perth Glory’s 22. The goal that has @SydneyFC up 1-0 in the #SydneyDerby! Audrey Bledsoe pushed a ball onto the post from a long-range shot (over 35 meters) by former Australian international Servet Uzunlar (ex-Pali Blues) in the first half of the 3-0 Sydney derby (see above). Sydney’s all-time record in the derby is now 11-1-2 (W-T-L), including two 3-0 wins this season over Western Sydney. 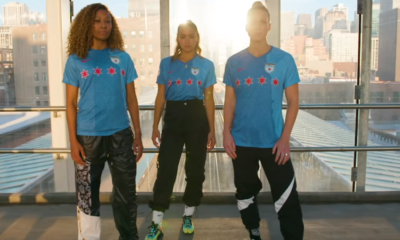 Arin Wright (Gilliland), the Chicago Red Stars loanee, scored her first goal of the season in the 63rd minute to give her Newcastle Jets a 1-1 tie in their home match against Perth Glory. Wright was influential throughout the game in leading the Jets to a 3-1 upset over the Glory. Tara Andrews (ex-Colorado Pride of the now defunct W-League) also scored her first goal of the season and 20-year-old Australian youth international Courtney Vine tallied her third of the year in injury time. Sam Kerr gave her side an early lead on a flying header from a Rachel Hill cross; Kerr now has 10 goals of the season and is tied for the all-time W-League record for goals with Adelaide’s Michelle Heyman (both 63). Newcastle is five points out of a playoff berth with three games remaining but the win was a strong positive for a side that had such high hopes to make the playoffs for the second year running, but has been hit hard by injuries (see below). — Brisbane Roar continued to build on their reputation over the past two seasons as ‘Road Warriors’ by defeating Melbourne City 1-0 in front of a crowd of 3,710 at AIMI Park for a W-League/A-League doubleheader on January 11. 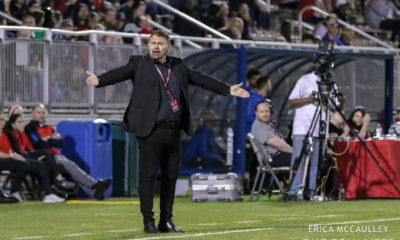 Last season, the Roar won five and tied one of their six away matches under head coach Mel Andreatta. This season they have won three of five road matches, with one tie and only one loss—on the road to Sydney FC on December 8, falling 5-1. Roar incredibly came away from Melbourne with the win despite effectively having no offense as well as very limited ball possession for most of the match, as City dominated in passing efficiency (84% vs. 68%), shots (23 vs. 5), corners (6 vs. 0) and possession (65% vs. 35%). City made 611 passes to only 335 to the Roar. 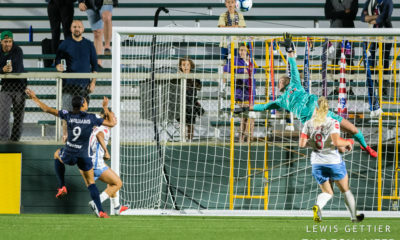 City’s Elise Kellond-Knight (who is due to play with the Seattle Reign in 2019) even missed a penalty kick early in the second half after Jasmyne Spencer (Seattle Reign) was deemed to have been fouled in the penalty box; KK sent her shot wide of the net. English international Chiomu Ubogagu (Orlando Pride) scored for Brisbane in the 74th minute completely against the run of play from a long pass out of the back by defender Jenna McCormick; Ubogagu buried the ball past City goalkeeper Lydia Williams (Seattle Reign). At that point, the Roar had 2 shots to City’s 18. 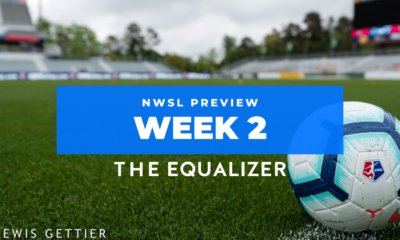 The Roar’s defense was outstanding (recording 42 clearances to only 9 for Melbourne), with Clare Polkinghorne (Houston Dash) and Jenna McCormick in the middle and Carson Pickett (Orlando Pride) and Natalie Tathem as outside backs, in front of Australian international goalkeeper Mackenzie Arnold. — Last week we reported that Jenna McCormick was leaving the Roar to join the Adelaide Crows in AFLW Preseason Training, but she has decided to see out the season with the Roar and then join the Aussie Rules league for its third season. The Crows first game is February 2, but if the Roar make the Grand Final, which is February 17, she could miss as many as three footy matches. 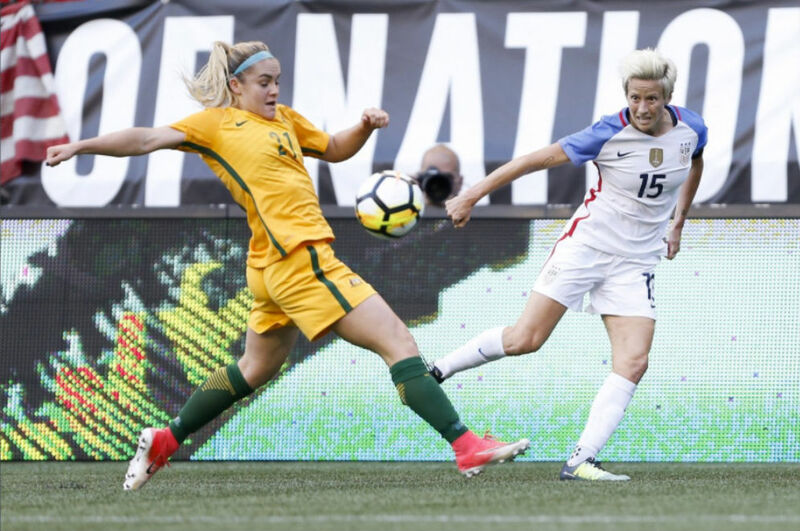 — Forward Jodie Taylor (Seattle Reign) told this reporter at the end of the NWSL season that she was looking at returning to Australia to play as a guest player in January—most likely for Melbourne City where she won a Grand Final in 2017/18—but those plans may have changed as she was also called into the England camp. With the loss to Brisbane, City likely needs full points next week at home against Newcastle Jets and away to Sydney FC on January 31 (the last weekend of the season) in order to advance to the playoffs. It would seem unlikely to see Taylor fly to Australia if City were not in the top four.